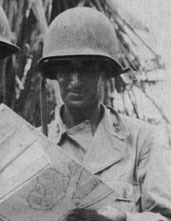 The Pacific War Online Encyclopedia: Irving, Frederick A. Table of Contents Next: Irwin, Noel M.
Irving had been decorated in France during the First World War for his courage in leading his company in the St. Mihiel offensive. He commanded 24 Division in the Hollandia campaign, where his insistence on retaining the Red 1 beach in the landing plan proved fortunate. 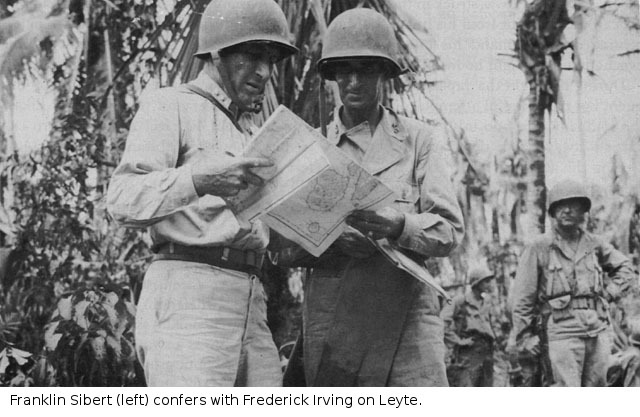 He later commanded his division on Leyte, including in the difficult battle for Breakneck Ridge. After the battle of Breakneck Ridge, Sibert and Krueger relieved Irving of command of his division without explanation. MacArthur later commented that "Irving is fine but his staff can't command, he can't eliminate incompetence" (Taaffe 2011). Eichelberger believed Irving had been treated shoddily and made him commander of his army rear area. MacArthur subsequently gave Irving command of 38 Division, but the war ended shortly thereafter.